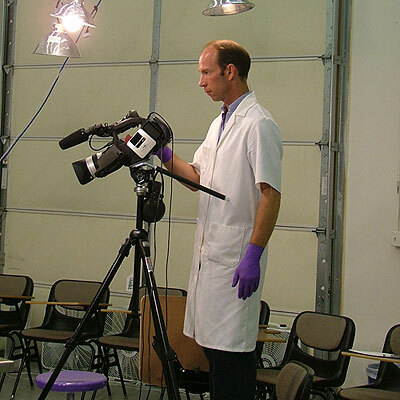 Rent Human Cadaver Dissection Videos by Laboratories of Anatomical Enlightenment Inc.
Over the course of the past 15 years Laboratories of Anatomical Enlightenment Inc. has recorded many of Todd Garcia’s dissection projects. Made available here are but a few of those dissections made into short anatomy lessons. The intent of making these videos available is to give a brief example of the focus given to every project that takes place at our laboratories. Laboratories of Anatomical Enlightenment Inc. welcomes you to schedule a dissection project that suits your specific needs. Contact us: info@LofAE.com or 303.429.9017. "Hands down, the best Anatomy Lab experience you could ever have in the entire United States." The videos we’ve made are from the dissector’s view… utilizing a whole body cadaver. Full-length videos can be rented on our On-Demand Video page for $2.99. It’s FREE to “Join”! All of the videos are vivid representations of human anatomy, intended for the education of the intellectually mature. They are not suitable for all audiences. These videos are registered within Copyright Law, and are not to be reproduced in any way.